Italian niche line Bois 1920 has launched Limited Art Collection, a new quartet of limited edition fragrances — Dolce di Giorno, Sensual Tuberose, Relativamente Rosso and Vento nel Vento. Each bottle of Bois 1920 evokes a part of the history and lifestyle of the Galardi family who, since 1920, has made tradition and innovation the cornerstone of its elegant products. In homage to all of those who have chosen Bois, a series of Limited Edition fragrances has been launched that brings together the traditional uncompromising quality of Bois and the exclusiveness of possessing one of the 1920 pieces of each new fragrance. Dolce di Giorno (shown) ~ "Seductive, mysterious and unmistakable…" With grapefruit, bergamot, cinnamon, pepper, thyme, cardamom, nagarmotha, prune, patchouli, cashmere wood, lignum vitae, vetiver, sandalwood, cedarwood, vanilla and labdanum. Sensual Tuberose ~ "Sensuality and femininity transformed into an olfactive creation…" With tuberose, coriander, peach, jasmine, orange blossom, coconut, heliotrope, sandalwood, patchouli, benzoin, white musk and iris. Relativamente Rosso ~ "The first sniff wafts sinuous and charming, bewitching the mind like an olfactive spell…" With May rose, frankincense, everlasting flower, davana, sandalwood, vetiver, patchouli, vanilla and ambergris. Vento nel Vento ~ "A memorable and impacting debut..." With peony, elemi, pink pepper, frankincense, licorice, white musk, patchouli, sandalwood, agarwood, ambergris, benzoin and labdanum. Bois 1920 Dolce di Giorno, Sensual Tuberose, Relativamente Rosso and Vento nel Vento are available now at First in Fragrance in Germany, €175 each for 100 ml Eau de Parfum. I purchased Bois 1920 Agrumi Amari di Sicilia for myself, found it just a tad too masculine for me, and gave it to my son (age 29), who had commented he adored it. I found it to be very high quality, if a bit linear. He wears just a dab, and it lasts all day. 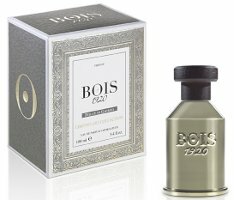 But that is the only Bois 1920 I have smelled. I’ve smelled a few, but never bought one. These do sound nice, but they’re spendy. Hm. I look forward to smelling these (maybe not the tuberose one so much). The price really has crept up with the limited editions. I own and enjoy a couple. Wearing Oltremare today, as a matter of fact. I was excited to see this post because Agrumi Amari di Sicilia has been my everyday scent for the last year or two, but these descriptions are not wildly enticing. Maybe Dolce di Giorno? Will try to sample them all. Tested the whole line this week. One word. Fantastic!